Call the reservations number at 877-510-7465. If you do, then the Group Code is "PROT18", which you'll need to give them to get the group rate of $139 per night. The country's best game design convention has come to Madison, Wisconsin. Welcome to Protospiel! If you are a game designer looking to get professional level feedback from other designers there is no better place to get that feedback. With around 100 other designers in attendance you'll have the opportunity to play test your designs many times through-out the weekend. And the friendships you'll make will last a lifetime. If you're a gamer who likes to try out new things, then Protospiel is also likely the best experience you'll have. You'll get to see dozens if not hundreds of new designs in a single weekend. Plus you'll get to shape them before they hit the shelves of stores or the pages of Kickstarter. Protospiel is an event where you can bring a board or card game prototype to play with other designers, play testers, and publishers. It's a great way to break your game and to fix it. It doesn't matter what level of polish your game has. 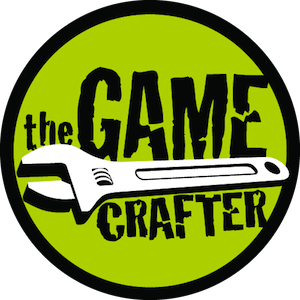 Many games are made right on the spot at Protospiel using the free prototyping materials provided by The Game Crafter. But there are also many games there that are just doing final testing just before they are published or put out on Kickstarter. If you want to play games in any state of development, then Protospiel is for you. If you want to get your own designs played, then Protospiel is for you. If you are looking to come to promote a complete game and never play anybody else's game, then Protospiel is not for you. Badges may also be purchased at the door if we haven't sold out, but we sell out every year, so you're best bet is to get your badge early. We will be offering basic refreshments such as water, coffee, and fruit. And there are a number of restaurants and bars in a short walking distance (a couple blocks). We'll also have a cash bar at Protospiel Madison on Saturday night from 6pm to 10pm. 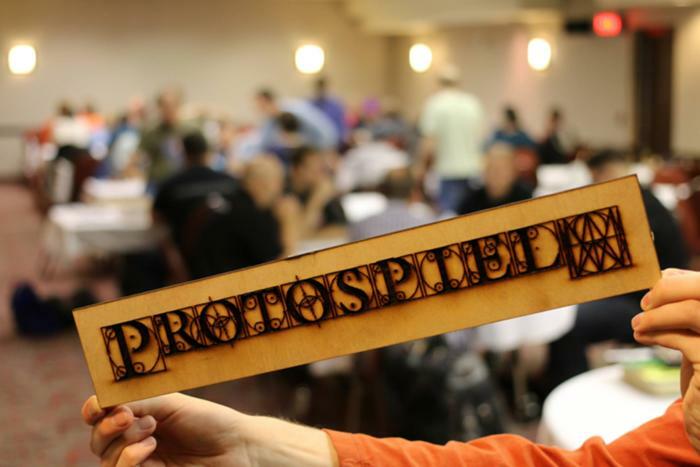 These great companies make sure you have the best possible experience at Protospiel Madison. We have lots of publishers in attendance at Protospiel Madison. Many are there scouting games, but even if they aren't looking for your game, the have a wealth of knowledge from the industry and their feedback is invaluable. I am looking for games that thematically capture the modern American Dream that are lightweight, have a unique component, and are quick to teach. Looking for meaty euros and titles that appeal to today's market, like co-ops. PieceKeeper Games is currently soliciting new game submissions.